British Airways is testing out a new automatic check-in service for passengers this month that is part of a £5 billion investment the airline says will "change the future of airline check-in as we know it today". The trial begins with selected flights from France. Passengers will be asked if they would like to check in automatically 24 hours before their flight, a time when many travellers are also considering travel insurance options. Passengers who choose the automatic check-in will be assigned a seat and sent their boarding passes electronically. The trial will be expanded in the spring to a wider group of passengers. The airline says if the trial is a success, it hopes to offer the automatic check-in option to all travellers by the end of 2013. 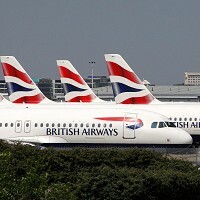 Frank van der Post, the British Airways brands and customer experience managing director, said: "Customers have so much to think about prior to a trip, be that finishing up in the office or getting the kids' suitcases packed. We're aiming to give them one less thing to think about by giving them the choice to be checked in automatically and sent their boarding pass electronically. Then they just need to drop off any bags and make their way to the plane."